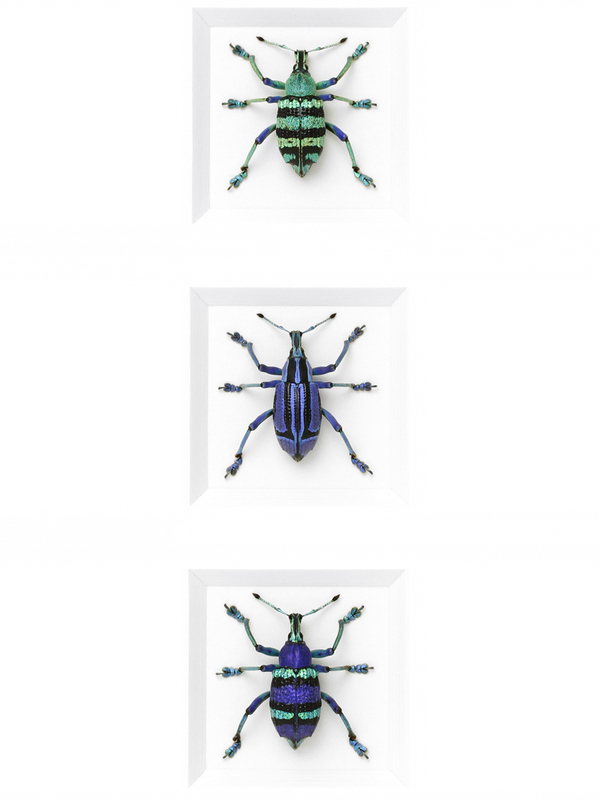 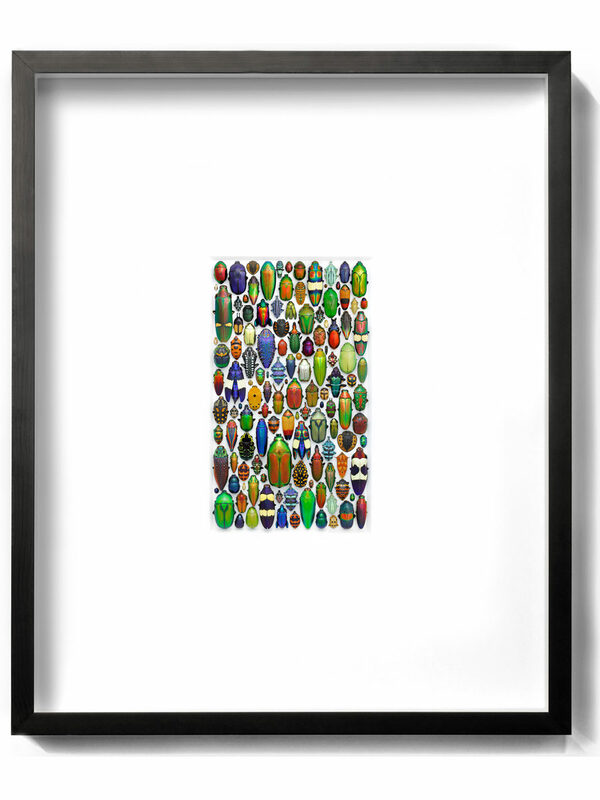 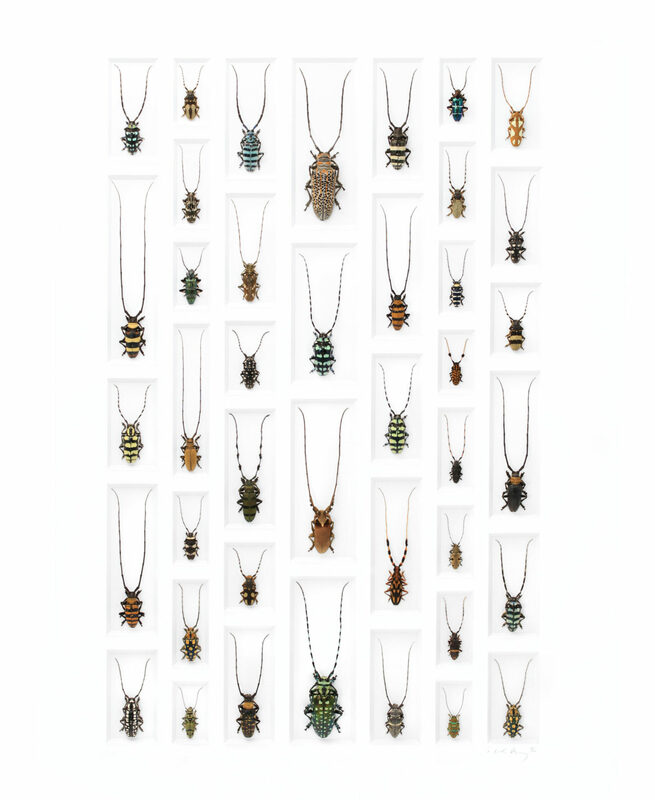 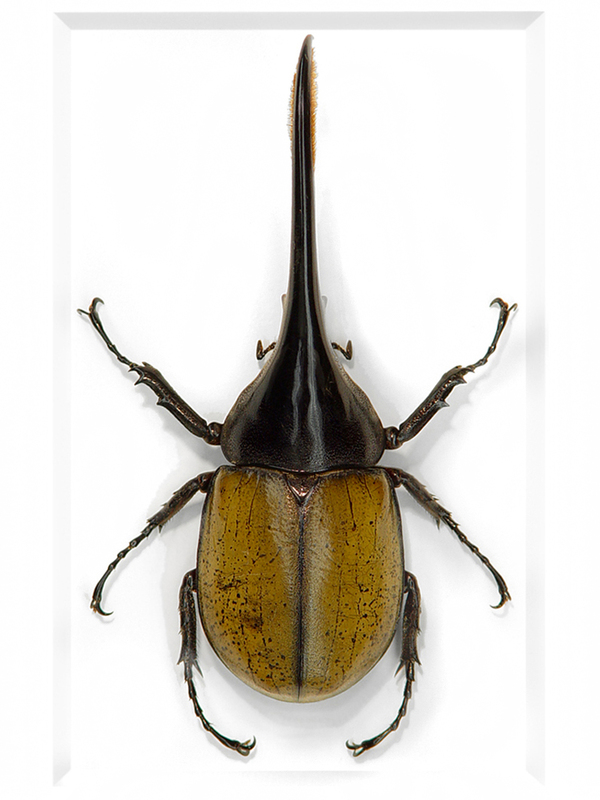 This piece is a small representation of the world’s largest order of organisms: the Beetles, or Coleoptera. 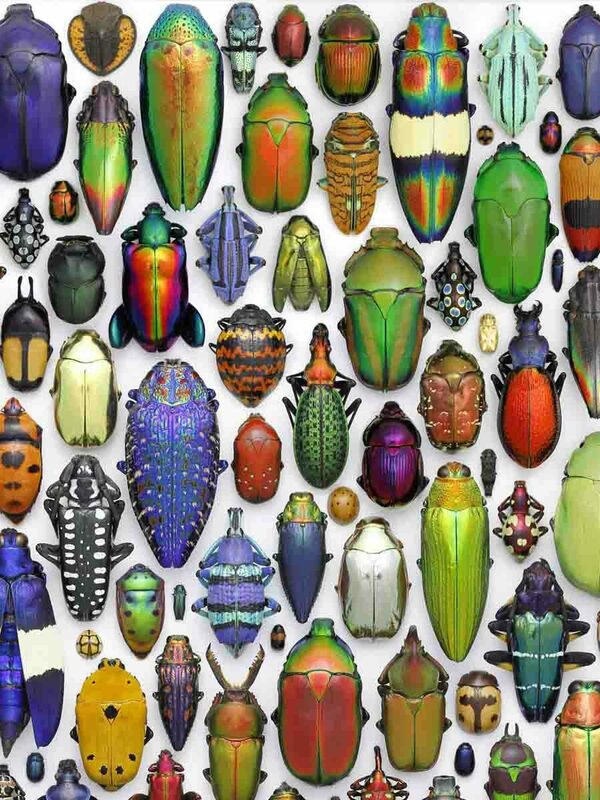 One fifth of all living organisms on earth are beetles, though rarely do species exhibit the gorgeous coloration seen here. 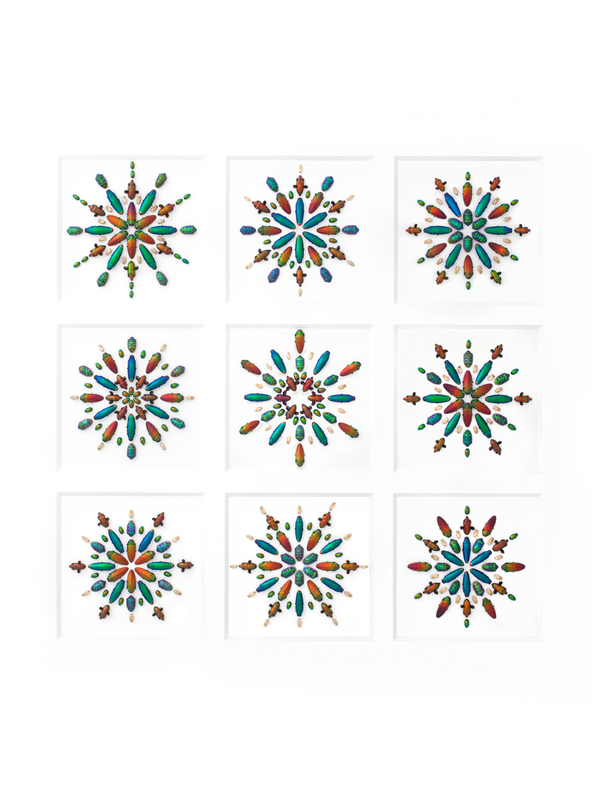 The specimens selected for the Mosaics hail from various locales in Asia, Africa, Australia, Europe and the Americas. 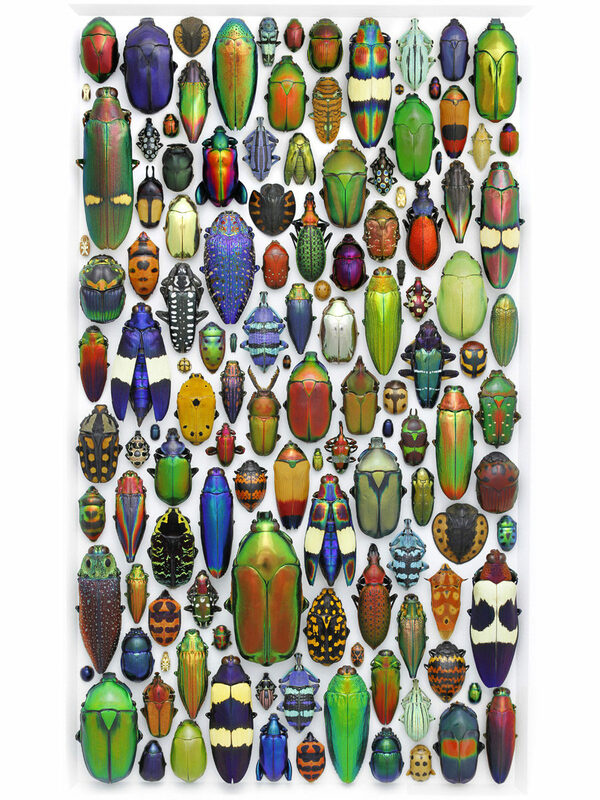 The colors are natural and unretouched.